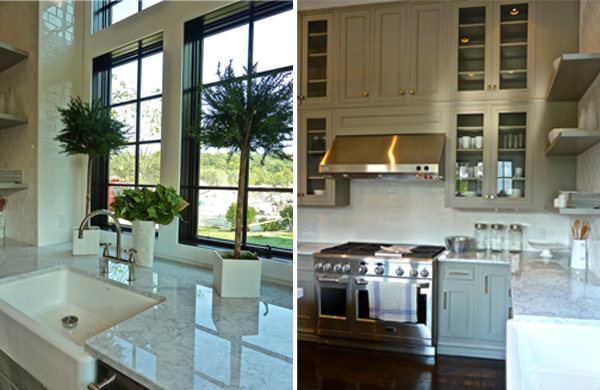 The second model house Lynn Morgan Design decorated at Kensett, Piper, is created for more formal entertaining. With a proper foyer, articulated with recessed wall panels, it is oriented like a center hall with separate dining and living rooms on either side. The tone for the formal rooms of the house is established here – a sophisticated black and white palette with a bit more of a chic urban aesthetic. 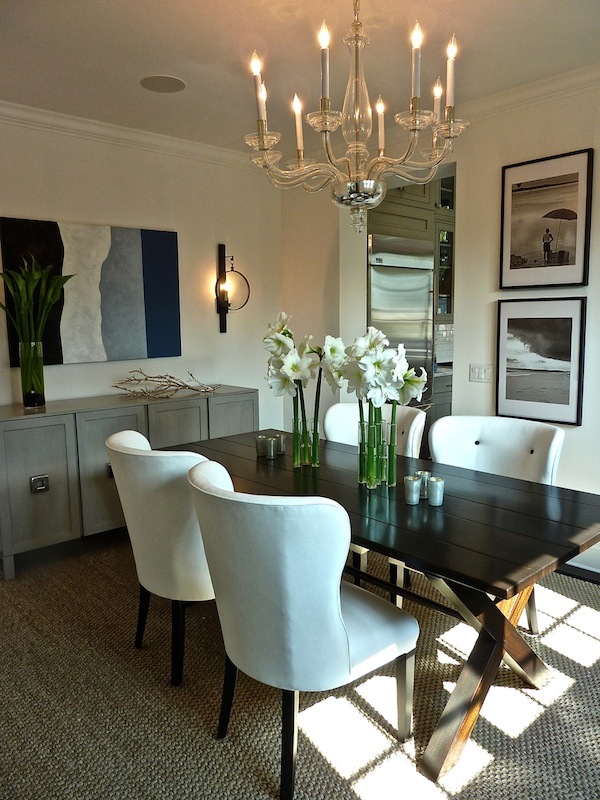 The dining room is a story of casual elegance with a comfortable mix of shapes and materials. The table and sideboard add warmth yet it is easy to see how this space could go a little dressier as well. 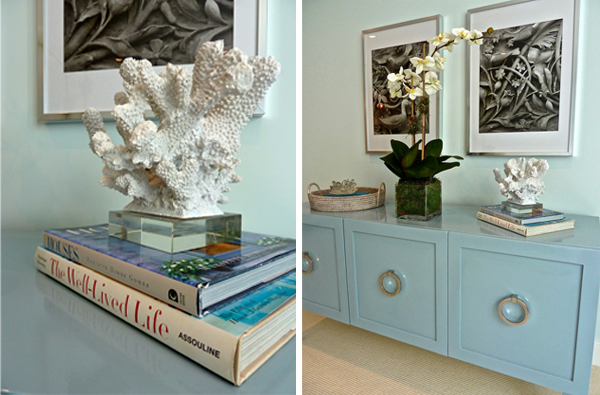 Moving across the entry to the living room, the color story becomes an exercise of refined restraint. 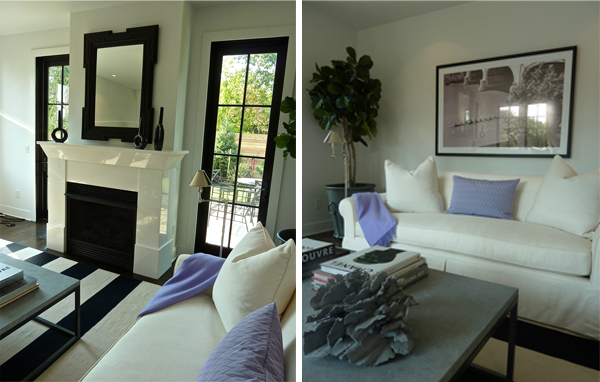 A lesson in purity with pops of lilac, the room sets the stage, awaiting personalization from a future owner. One of the most thoughtful and effective design elements in the front of the house is the black trim on doors and windows. It adds a modern graphic appeal and sharp accent. But the pièce de résistance is the kitchen. With soaring ceilings, tons of bright light and a great spin on the black and white theme, it is the jewel of the public spaces. You can see how effective the black trim is on the large windows and the putty paint is a great counterpoint to the black, marble counters and subway tile. Morgan and builder (and developer) Bill McGuiness demonstrate that details indeed make the difference. Note how the slightly deeper window boxes give added dimension allowing the black to make a stronger statement. And the counter to ceiling tiles and cabinetry take advantage of the room’s full height. Stripes are having a super fashionable moment. 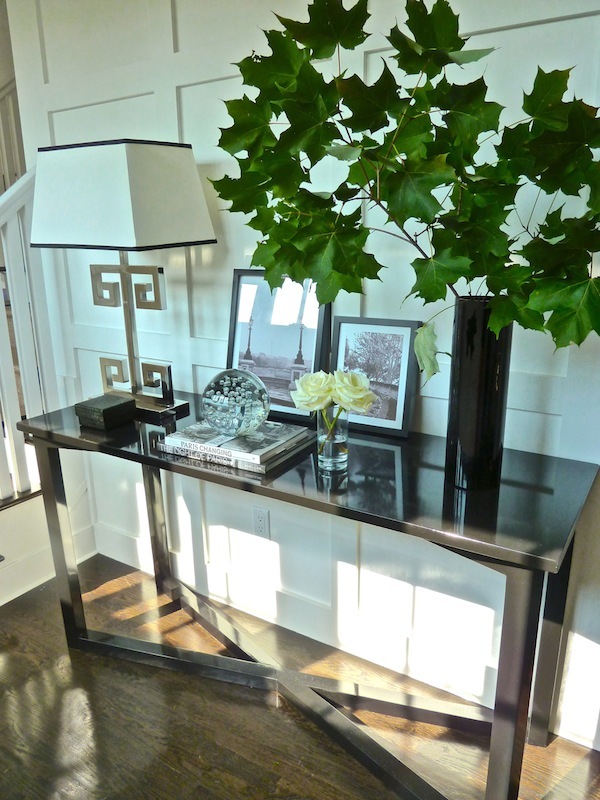 Always chic in black and white, they make a stylish appearance in the powder room and mudroom/closet. And I think I could even learn to like doing the laundry in this fabulous room. Lots of storage for vases and cachepots make this a useful flower arranging spot as well. The master bedroom, conveniently located on the first floor, is a lovely airy space with a wall of windows facing the back courtyard area. 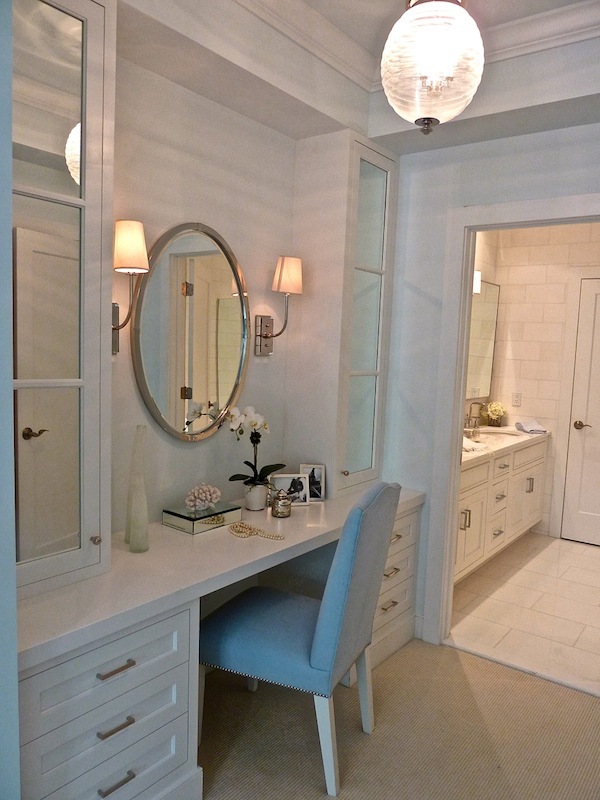 I love that they included a beautiful vanity in the space (across from the enormous closet) leading into the master bath – a little touch of glamour is always appreciated. Again, the landing was carved into a work area, more open and spacious in this version. 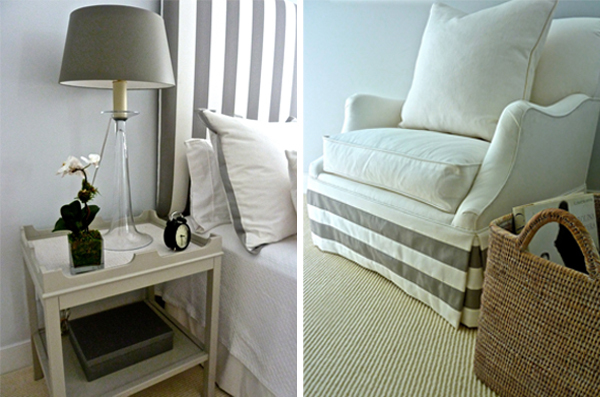 A guest bedroom is a calming gray and white colorway. As always, it’s the details that count. Thoughtful accessorizing and tailoring make the difference. You can tell Lynn is the mother of boys. How great are these bunks? I think secretly almost all of us wanted some form of these as kids – and why not – they’re stylish, cozy and cool! And the horizontal board seals the deal. 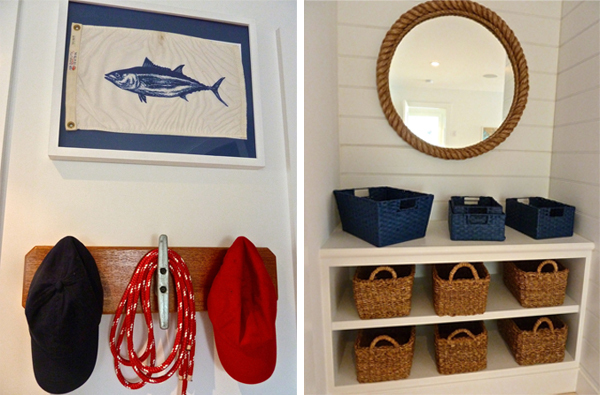 The entire room has an upbeat nautical theme with colorful accoutrements and accents. If I were a parent touring this home, I’d be very careful before I let my boys get a look in here! 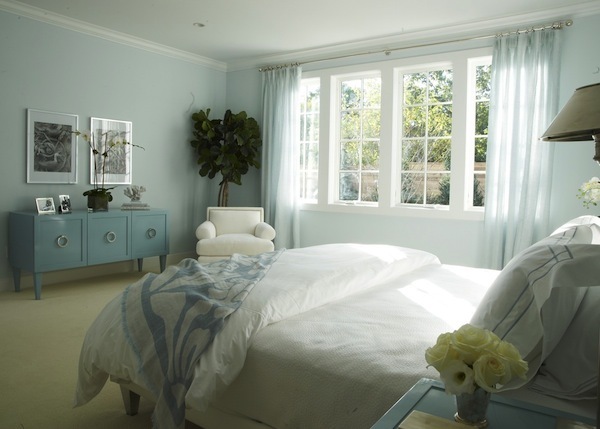 The girl’s bedroom is feminine and fun with just the right amount of sophistication for a wide ranging age appeal. 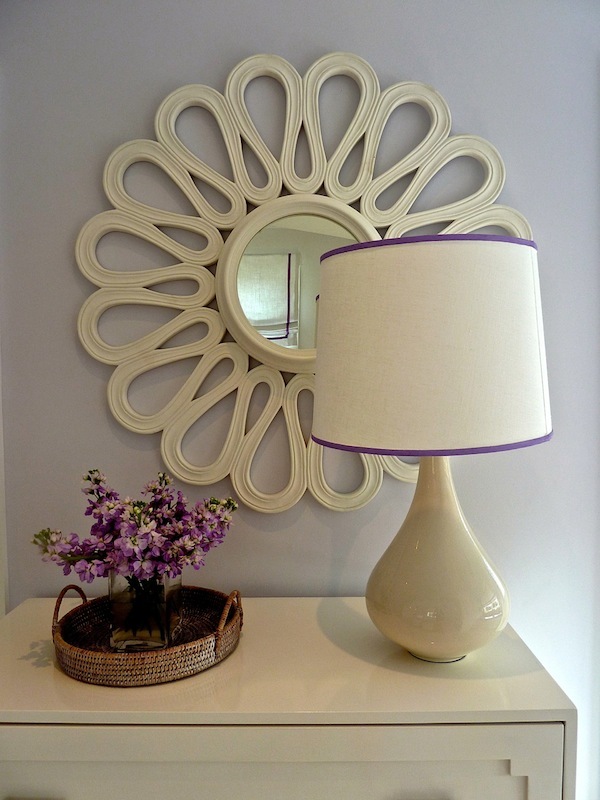 Loved this sweet vignette – it really set the tone for the charming room. Many upscale communities around the country feature a bevy of beautiful homes on multi-acre plots that, while lovely to live in, require extensive maintenance in terms of both time and expense. But frequently there are no alternatives for either young families relocating from more urban areas or empty nesters looking to downsize, who would like a beautiful maintenance free home that still reaps the benefits of good schools and great location. Kensett is an alternative that addresses many of these issues and as Lynn’s designs demonstrate, it’s a new option with plenty of style. This entry posted in architecture, design, furniture, interior design. Entry Tags: interior design, Kensett, Luxury condo communities, Lynn Morgan Design Bookmark the permalink. I love that kitchen. Gorgeous. p.s. LUV all of it! Another beautifully designed home. I love the black and white!! I love the black and white stripe theme going on here! 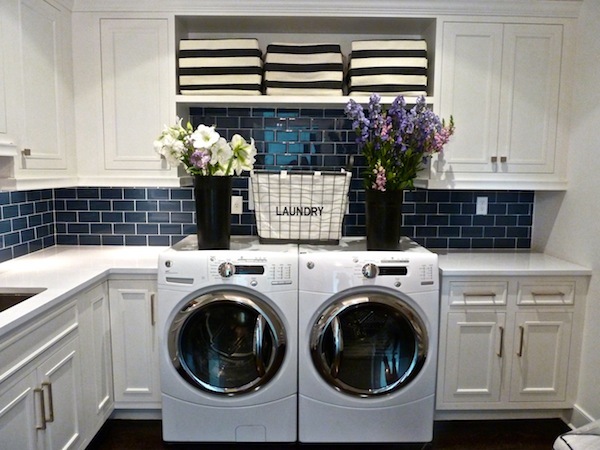 And now I have laundry room lust, seriously, something I have never experienced. I wonder if she extends this b/w theme to the outdoors? Such a beautiful home, Stacey, and Lynn is such a talented designer. Thank you for sharing. I am drooling over the kitchen. We couldn’t be bigger fans of Lynn Morgan Design. The stripes fit perfectly! love all of the bold lines in the house. the crisp black and white stripes in the rugs and the greek key patterns in the rugs. Everything is so well done. I’m about to go pinterest crazy. Oh how I am loving all of this black and white. I could move right in and feel perfectly comfy! Every room in this house had me drooling. Any idea where I can find those barstools? LOVE them! Wow, what a gorgeous home. I love all of the black and white, but mostly because it’s balanced with a lot of white. Love the stripes in the bathroom and that kitchen is perfection. Love everything. Can u tell me source/designer of kitchen island light fixures? I just stumbled onto your blog from Pinterest…absolutely STUNNING! Thank you so much Aimee!! Do stop back! I love both the overall design and the individual design elements in the kitchen! The pendants and oversized windows…beautiful! 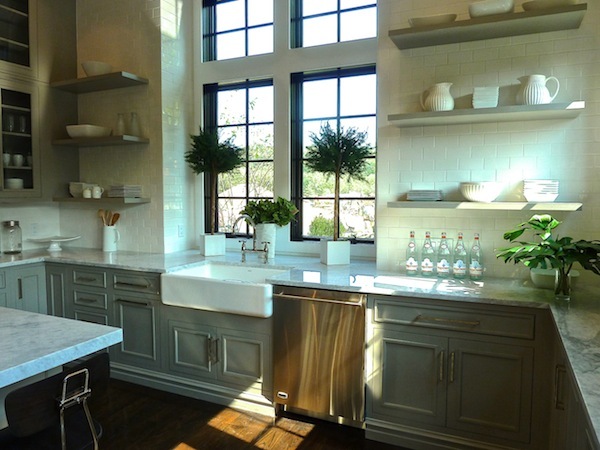 I really adore the kitchen, with the recessed window frames and up to the ceiling tile. A study in refinement and smart design. The fabulous kids’ rooms and the soothing palette that runs throughout the home contribute to making this a winner for many home seekers! What a beautifully homey and crisp design. I love it. Great post! Lynn Morgan is one of my design crushes. Do you know the rug source? They look like some of the striped rugs that we carry from Surya? 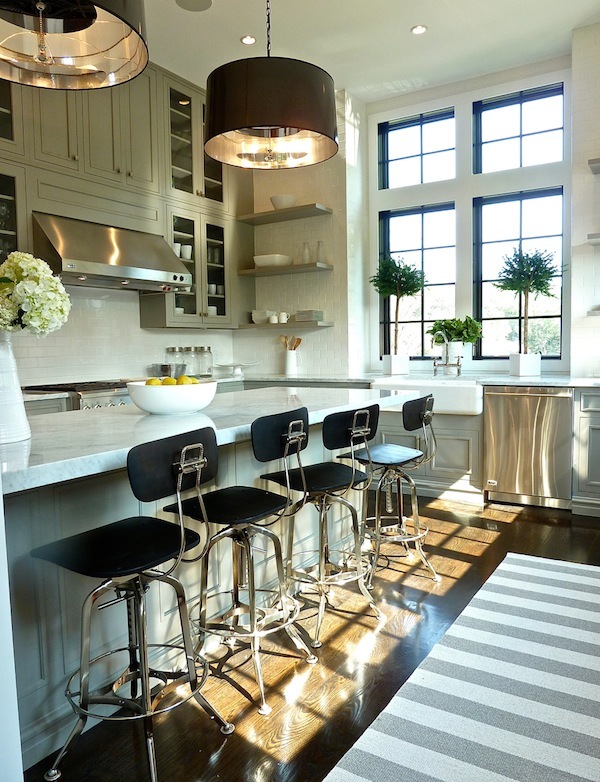 I really like the bar stools in the kitchen design. Could you please tell me where I can find them? Thanks! I really like your taste in design. Absolutely stunning! I just ran across this site on Pinterest. Would love to know the paint color and carpet name in the lavender girl’s room. I’ve been scouring the web for bar stools like these for months, but can’t find the source. Would you mind sharing the manufacturer? I absolutely love the kitchen. Do you have the source for those beautiful black drum lights in the kitchen? I want them! 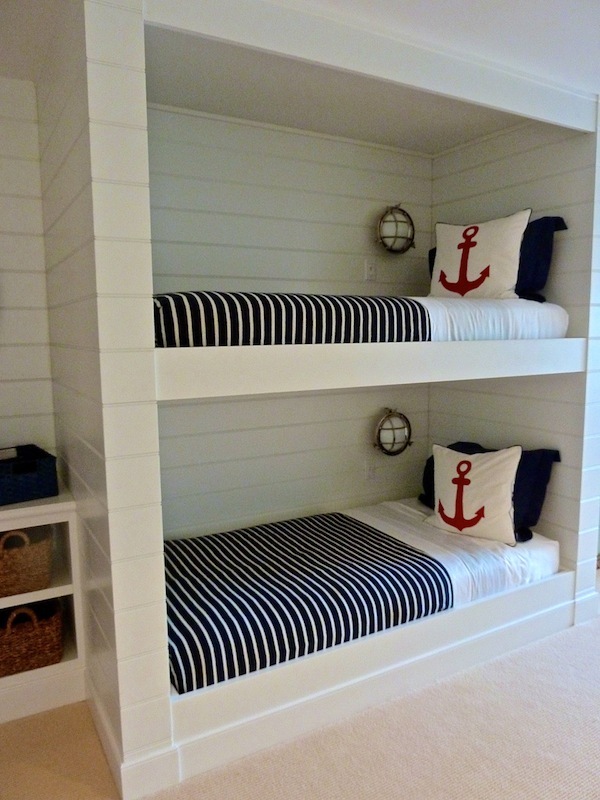 I love the nautical bunk beds. Those would work so well in a lake house or beach house in order to fit more people. And you know you will have more people when you have a house near the water!